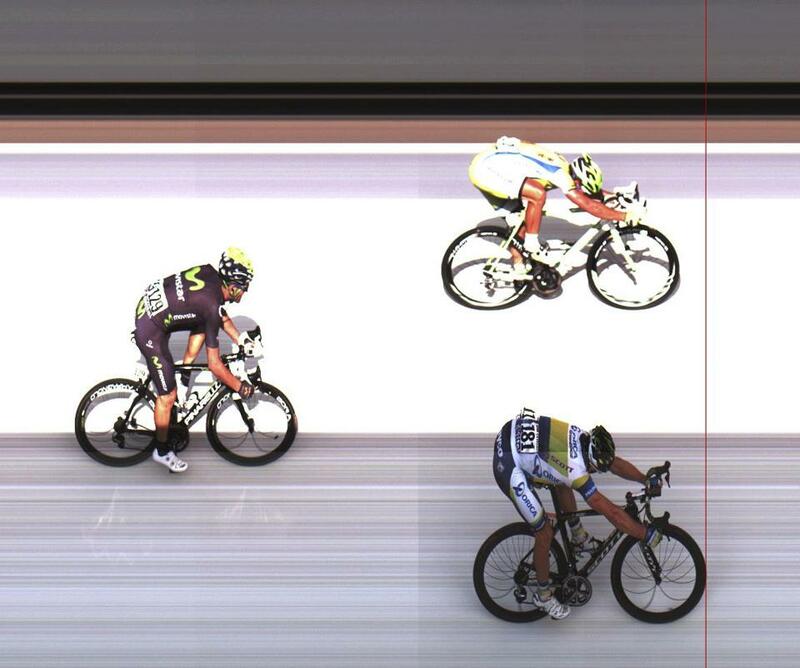 Few days ago, I was looking with my colleagues at the results of second etape of Tour de France. I was wondering how they take “finish picture”. After a little bit of googling we found out that there is really simple idea behind it. So after few hours of coding I created simple HTML5 version of a photo finish that uses webcam. Principe is really simple. I just take a vertical line of pixels (with getUserMedia) and append this line to a picture (canvas). It is just a fun project so don’t expect results like from Tour de France. The webcam is running at 30 FPS so it can not detect fast moving objects (like cyclists) but if you are organising snail race it should work. Reason why I created this was that I’m planning to order Raspberry Pi and I was thinking that photo finish will be a nice first project on Raspberry Pi. I want to use your “Photo finish” with HTML5 with a EYE PS3 as webcam at 75 fps or 187 fps. Is’t possible to change the rate ? I use “CL-Eye Test DirectShow ” and Code Labratories pilote vesrion 5.3.0.341 (2012) to connect the Eye. But i don’t no how tochange the rate in HTML5 page and do a “photofinish du pauvre” (a low cost photofinish) for our FabLabFest.